A very large part of our mission is to educate and supply our customers directly, however, we have realised that there are so many other people that are as passionate about the effects and well being benefits of CBD. For all the years that we have been part of this community, we meet amazing people who also own businesses and would like an opportunity to sell CBD wholesale in the UK. It was then decided, we would take the steps needed to empower shop owners to educate and provide CBD products too. It is very important to us, that a CBD wholesale (uk) opportunity is provided in a sustainable, ethical and collaborative manner. This isn’t simply a business venture- this to us is a project of passion and an extension of our mission. The purest form of CBD that is available on the market 99.9% pure CBD isolate (often referred to as CBD Powder). It is popular as a ‘gateway’ into CBD products because of its high concentration. Like, CBD Oil, it can be used in hundreds of different ways and it’s varied uses have become quite popular with our customer base. This product is a fantastic way to unlock the health and wellbeing benefits from CBD products and almost always, attracts the attention of customers. If CBD isolate is something that would fit perfectly in your shop, please say hello! To view our CBD Powder, please click on the link. 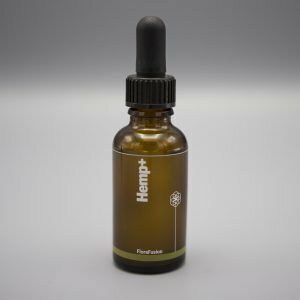 The most popular and cost-effective product we sell is the classic: CBD oil. We don’t usually like to blow our own trumpet but the Flora Fusion oil has become somewhat of a sensation with our customer base. It is renowned for its delicate nutty flavour and because it can be used in as many numbers of ways as you can think of. It is a versatile, quality product that we are very, very proud of. 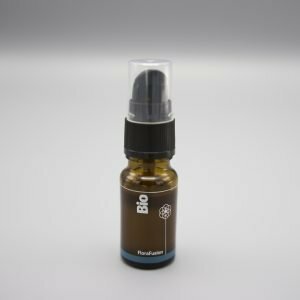 The Flora-Fusion CBD Oil is produced by infusing CBD with cold pressed organic hemp oil right here in the UK; it is among a small number of CBD products actually produced in a UK laboratory. 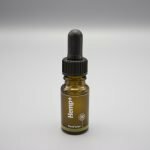 We offer 30ml bottles of 1200mg CBD Oil (UK), 10ml bottles of 400mg CBD Oil (UK), and 10ml bottles of Bioactive 400mg CBD Oil (EU)– all available for wholesale in the UK. If you are a business owner and you’re looking to sell CBD oil wholesale (UK) please get in touch and speak to us about our special offers to wholesalers. Known for its intensity and incredible wellbeing benefits this brilliant CBD paste is a multi-spectrum cannabinoid paste consisting of non-GMO organic phytocannabinoid (Plant Derived) compounds. We know that this product produces a powerful supplementary combination which we ourselves, have tried and tested. 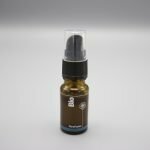 This product is free from pesticides and is produced by a CO2 extraction process to ensure a raw and organic CBD product. If you are looking for more information on our CBD paste, follow this link or view our product. We offer premium CBD paste wholesale (UK) because we are very passionate about the health promotional effects of this product and we would like to share it with your customers. If CBD Paste is something you would like to offer your customer. We are currently working hard to open opportunities to produce & sell CBD in Europe. This means a whole new CBD Wholesale Family. The opportunities for wholesale CBD in Europe are too hard to ignore, and we are determined to get our respected & quality CBD products on the mainland. Although whole CBD Europe wide is still in the pipeline, we would like to hear from European wholesalers. Get in touch today about CBD wholesale Europe. How to Become A CBD Oil Distributor UK? Are you wondering how to become a CBD oil distributor UK wide? Well the answer is directly below. All you need to do is get in contact with us today. We offer both CBD wholesale services which can be tailored to your needs.